This post contains affiliate links. This allows me to make a few pennies when you make a purchase through one of my links without any additional cost to you. Please see my full affiliate disclosure here. With yet another holiday right around the corner, I have created a very special gift guide to help you create a more eco-friendly and zero waste gift giving experience at any time of the year. Gift giving can be difficult sometimes, especially if you are someone, like me, who is conscientious about the impact a simple and time-honored tradition can have on the planet, or on our own sanity! You want to choose the perfect gift – something that the receiver can truly appreciate or use, but without creating a lot of waste or clutter, and leaves a minimal impact on both Mother Earth and your wallet, right? Not to worry! I have your back when it comes to gift ideas that are eco-friendly and zero waste, and won’t put a gaping hole in your wallet. Below you will find a range of gift ideas, from functional yet fun, to entertaining yet sustainable. Plus some ideas that will create lasting and truly meaningful experiences, rather than just another gift that you use once or twice and then throw or stow away. 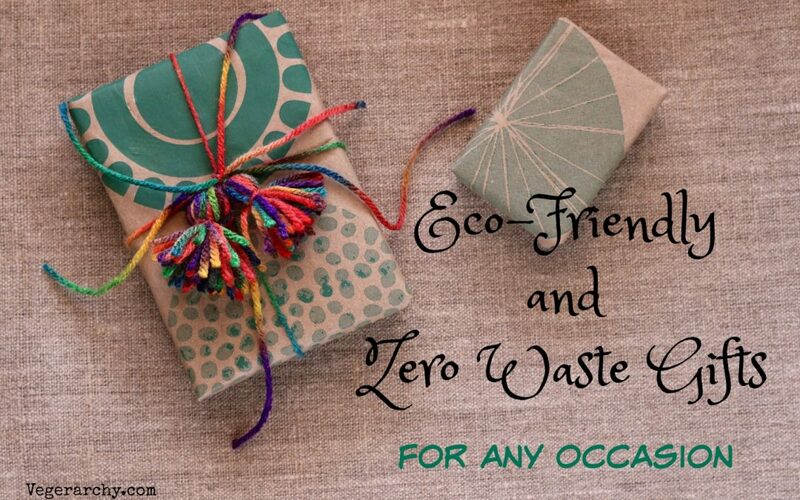 Read on and I am sure you will find the perfect eco-friendly and zero waste gift for everyone on your list! I am sure you are no stranger to DIY gifts. You’ve most likely received one at one time or another, and you’ve probably even given them too. DIY’s are great because not only are they often less expensive than buying a similar product, but they show that you care enough to take the time to make something very special for that person, instead of just purchasing some random gift at Wal-Mart. Bath Salts made with essential oils. I love taking baths and I always use either bath salts or bubble bath with essential oils in them. Essential oils have become extremely popular in recent years and for good reason. They not only smell great, but many essential oils have special properties that can help you relax, detox, soothe tired muscles, sleep better, soothe and soften irritated skin, relieve congestion, reduce inflammation, and a host of other benefits. Check out this easy and simple bath salt recipe from Martha Stewart by clicking here. This is something I have really been obsessed with lately and several people received this as an eco-friendly gift from me this holiday season! It is so easy to make and is not only great for freshening up a room, but it also makes a great yoga mat spray! When your yoga mat starts getting a little stinky (like mine was! ), spray a generous amount on each side and give it a good wipe with a soft cloth. You will need some bottles to put the formula in. I prefer these beautiful cobalt blue glass ones. To make the spray formula: Fill about 3/4 of your bottle with water, preferably distilled, and about 1/4 full with alcohol-free witch hazel (this stuff is also a great toner for your face!). Add about 5 drops each of two of the following oils (you can mix and match if you like – play around and experiment! ): Lavender, Tea Tree, Eucalyptus, Lemongrass. Rosemary and and Mint also makes a really nice combination. There are also lots of different pre-made blends out there that are being sold everywhere, from small distributors at local farmers markets, to health food stores, and even your standard local grocery stores are starting to carry them! Just remember that whatever oil you choose, you will need about 10 drops total for this recipe. Shake it up and voila! 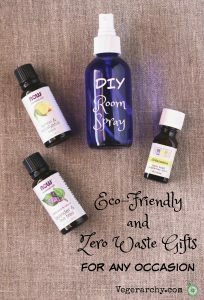 You have a lovely-smelling multi-purpose eco-friendly room spray that anyone will love! Who doesn’t love a great snack, especially when it comes in a nice jar with a pretty piece of ribbon on it? If you are already someone who likes to bake cookies for the holidays, this can be a unique way of packaging them that you may not have thought of before. But you don’t have to be a baker to make this gift a very special treat for someone. There are all kinds of ready-made snacks that would look great in a mason jar or other wide-mouthed jar that can be used again and again. Pretzels, cookies, candies, flavored popcorn, etc….If you know what kind of snacks they typically like, that just makes it a bit easier! If you want to get really fancy, here’s a recipe for Vegan Golden Chocolate Caramel Pretzel Rods from Hot For Food that would certainly please me if I received some of these as a gift! Plant cuttings are a perfect zero waste gift. If you are the type who has a lot of houseplants or even a garden, you probably have some plants that could use a little trimming or thinning out. Perhaps you are overrun by philodendrons or spider plant babies. Create small starter plants by trimming some of the excess vines and placing them in a small glass jar or vase, or a small pot with dirt. If you don’t know how to do it, watch this short video. If you have lots of Iris or other bulbs in your garden that need thinning out, dig them up, shake the dirt off, and put some in a burlap bag, re-usable shopping bag, or a terracotta pot. Be sure to include instructions for planting and care if the person isn’t an expert gardener. Who doesn’t love food? And who wouldn’t love a beautiful, colorful basket full of fresh fruits and veggies? We could all use a few more of those in our diet right? And it’s so much easier when someone hands you a basket full of yummy nutrition all wrapped up with a pretty bow! Plus it’s a great zero waste gift and if you are buying organic or local produce, it’s also very eco-friendly. If you have a farmers market nearby, that’s the perfect place to find locally grown, in season produce at great prices. But if you are not so fortunate, go to any local market and pick out an assortment of the most beautiful and colorful fruits and veggies you can find. You can find baskets and ribbons very cheap at your local dollar store or thrift store, but if you don’t have one of those nearby, your supermarket might have a floral department that will have just what you need. The gift of an amazing experience is one that is not only zero waste, but can be one that will be remembered and cherished for years to come. Of course, the type of experience you choose may largely be dictated by the interests and hobbies of the person receiving the experience. Although it’s nice to give people a little prod to try something completely new, it wouldn’t be appropriate to give the gift of a zip-line experience if the person is afraid of heights! So, you may want to do a little “research” into what kinds of experiences the recipient would enjoy. Memberships to local museums, clubs, or gyms can also be great because these types of things can often be more expensive than some people can afford. So, if you are someone who has plenty of money, it is a particularly nice gift for someone who isn’t as well off. 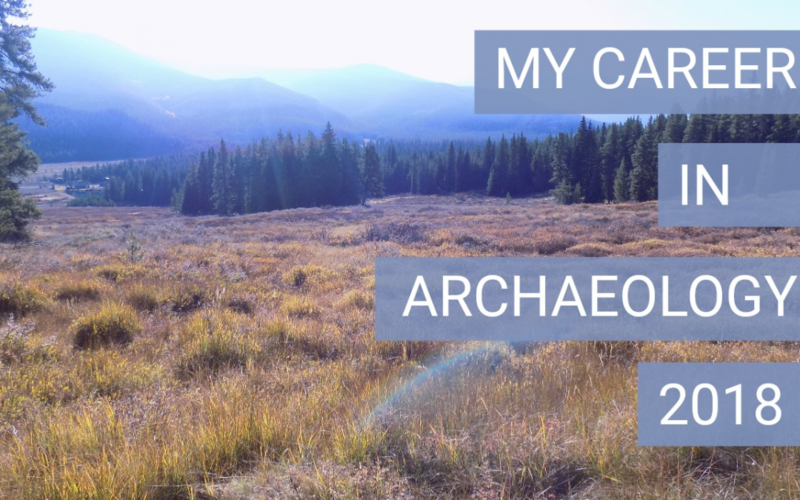 Membership for a club of interest – for me, that would be a local or national archaeology club/organization. Find out what they are interested in! 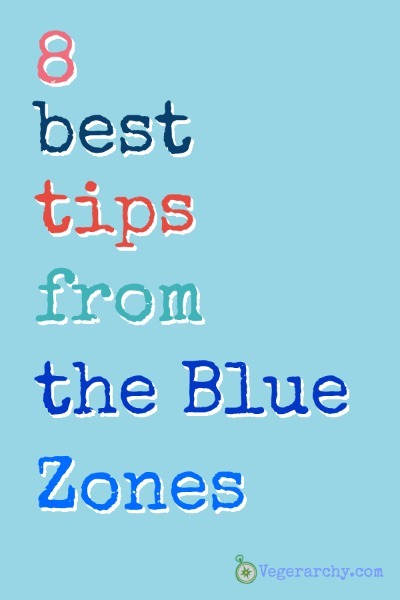 Learning experiences such as music lessons, cooking lessons, dance, cooking, painting, gardening, golfing, tennis, etc. What if you’d rather give a more traditional kind of gift? You know, something special that you thoughtfully purchase with them in mind. Something that they will use and cherish and that will always make them think of you. With so much plastic and other trash polluting our environment, it is important for us to consider ending our addiction to disposable items and give gifts that are truly meaningful and useful, and that have as low of an impact on the environment as possible. Candles are something that nearly everyone I know enjoys. They’re great for creating a nice atmosphere, whether it’s for relaxing or entertaining, and they smell wonderful! 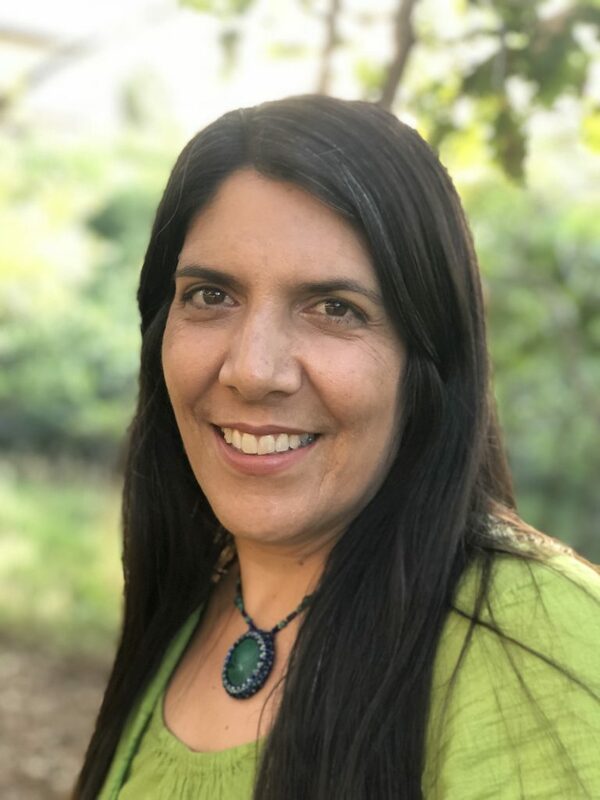 A friend of mine, Rebecca, of Luna Lucerna.com , makes candles from soy wax, which lasts longer than paraffin, burns cleaner, and is biodegradable. They also have a wood wick, which is a really unique feature, and they smell AMAZING! My favorite scents are Falling Leaves, Oakmoss Sandalwood, and her seasonal Eggnog one. It makes my living room smell like a bakery! You can read more and order some candles by clicking here. She also makes bath salts and some really amazing little shea butter soaps. They make your skin so soft! They’re everywhere these days and for good reason. More and more people are concerned about the impact bottled water has on our planet and on our pocketbooks. Glass or stainless steel containers are really the best way to ensure that you stay hydrated while making less of an impact on the environment. Fortunately, there is a large variety of styles to choose from! Some of the worst plastic pollution culprits are drinking straws. They cannot be recycled and they get into our waterways and end up floating in the oceans where they are swallowed by fish, birds, and sea turtles. Yet they are everywhere. Sit down at just about any restaurant and they will automatically bring you water with a plastic straw in it. We really need to put an end to this horrible waste, and fortunately there are lots of other, more sustainable options out there. Personally, I don’t ever use straws, but I guess a lot of people really like them because re-usable straws are a really hot item. They can be found made from a variety of materials, from re-usable glass and steel to compostable. I really like the eco-friendly bamboo ones that come with a cleaning brush and a cloth storage bag. I know this one might seem like the equivalent of giving someone zip-lock bags as a gift, but hear me out. I personally never buy plastic baggies, although I use them all the time. My x-in-laws, whom I still maintain a close relationship with (coz you know, they’re my kids’ grandparents), like to put everything in the world in zip-lock bags. You name it…food, money, pictures, newspaper articles, candy, toys, silverware, car parts….you get the idea. So, I, by default, end up with a lot of baggies that I wash and re-use. But, eventually I’m going to run out, and I would love to replace them with more sturdy and sustainable stasher bags. But honestly, they’re not cheap. And after all these years of not paying for any plastic baggies, I find it difficult to make the leap and buy the stashers. If you don’t know what stasher bags are, they are like a zip-lock made of re-usable silicone that can be washed and re-used over and over and over again. Ideally, I would like several, but it is a bit of an investment. Which is why they would make such a great eco-friendly, sustainable, low waste gift! Along the same lines as the zip-lock bags, we need to stop using so many plastic produce bags. Cloth or other reusable shopping bags have started making appearances everywhere, but not so many people are using cloth produce bags. They can also be used for other bulk items such as beans, rice or other grains, nuts, dried fruit, and other snacks. They are a little harder to find, but I have provided a link to a nice little set here. The only problem I find with cloth produce bags is that they really don’t keep the produce fresh. To solve that problem, you can do a little bit of meal-prepping by chopping up vegetables right away and storing them in glass containers in the fridge. These containers are also quite a bit more pricey than their plastic counterparts, but they will last much longer and have less of an impact on the planet, and you can safely cook food in them or freeze them without having to worry about toxins leaching into your food. If you work or go to school, you probably take a lot of lunches or get take-out at lunch time. That means, that unless you’re just eating a sandwich, you probably end up using plastic utensils that aren’t recyclable and contribute to more plastic pollution. The answer to that? Keep a utensil kit in your purse, lunch bag, desk, or backpack so that you never have to use plastic again! Of course, you don’t want to have to bring your nice utensils from home and risk losing them. Plus, they can add a bit of weight to your bag. That’s why a set of bamboo utensils in a nice little carrying pouch makes the perfect gift. They are lightweight, made from an eco-friendly material, and can be used again and again. Plus, they are pretty aesthetically pleasing as well. Let’s stop killing trees by reducing or eliminating our use of paper napkins and paper towels. Give a gift of some beautiful, washable linen napkins and dishtowels. They will last for years to come and are a lot prettier than the paper versions! Plastic razors are, again, terrible for the environment because they are not recyclable and end up in landfills. More traditional razors made from stainless steel are a much more environmentally friendly and aesthetically pleasing way to get rid of unwanted hair. And they’re not just for men! Who wouldn’t be thrilled to receive a stainless steel razor with a beautiful bamboo handle? Here are a couple of ideas for zero waste gifts that are great for creating family memories that will last a lifetime and beyond! I have always loved photo albums. I love making them and I love looking at them. But these days it seems like a bit of a lost art because so many of our photos are digitized. But there is something to be said for a real photo album with real printed photos in it, especially if it is personalized with scrapbook items, stickers, or other decorative elements. Not that creative? No need to get fancy. A collection of special photos with some nicely printed labels will do. I have picked up second-hand (empty) photo albums at my local thrift store, filled them with photos of my children, added some clever captions, and given them as gifts to family members, such as grandparents, aunts and uncles, and in-laws. They have always been greatly appreciated and are sure to be passed down through the generations. That makes them very eco-friendly, especially if you buy second-hand photo albums, and zero waste too! Have you ever been curious about what your real family tree looks like? I mean, we all hear stories about where our families came from and how they got here, but usually, we’re not getting the complete picture. But with DNA testing so readily available these days, it can be a real experience for the entire family to find out exactly where your ancestors came from and how your sister got such a small, dainty nose, while you got the big shnoz! (just kidding). Seriously though, this can be a great gift for a single member, or the entire family, and cherished information that will be passed along to future generations. 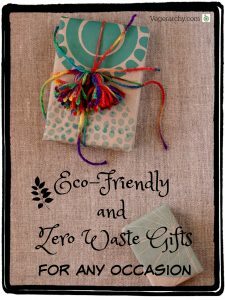 So, there’s my list of eco-friendly and zero waste gifts that are great for any season and any gender. I am always thinking of new ideas, but for the sake of not making this post a mile long, I will call this the end of the list for now and if you liked it, I can do more of them in the future. If you have any ideas for eco-friendly and zero waste gifts that I didn’t list here, or if you have ideas for a certain kind of list you would like to see me create, please leave a comment below. I value your opinions and would love to provide you with some ideas that are perfect for you! In the meantime, I hope you enjoyed and will use this list to start creating and sharing a more eco-friendly and zero waste way of living. To make it easy for you, I have provided a cheat sheet that you can print out and keep for easy reference. 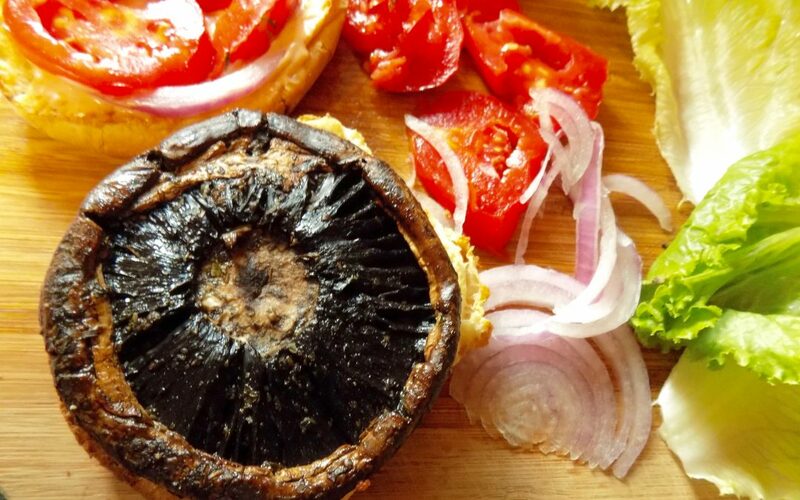 Portabella Mushroom Sandwiches – Renaissance Style!